Interim options are currently being discussed, with alternative recommendations including the construction of a $4.2 million temporary outdoor pool in the adjacent parking lot. The pool was originally closed January 10 due to a draft Structural and Seismic Evaluation that indicated the facility was seismically unsafe if there was a moderate earthquake. Both the City’s Building Official and the City Engineer have reviewed the final Structural and Seismic Evaluation and have determined that the Olympic quality facility—which is the only indoor platform pool in Southern California—will need to be replaced. City staff is set to recommend to City Council to move forward with the creation of entirely new facility to replace the Belmont Pool Natatorium at the February 12 council meeting. City staff will also recommend four interim options, including the construction of a temporary outdoor pool in the adjacent parking lot that could be ready in five to eight months at a cost of $4.2 million. 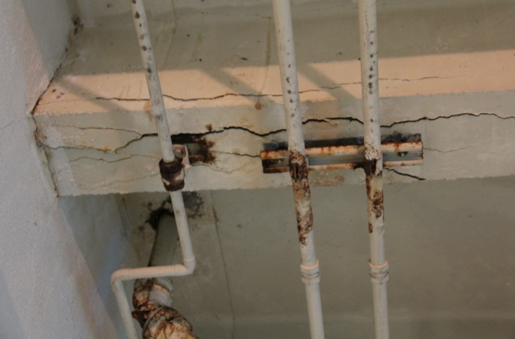 Photo showing cracks in concrete beams in the communtiy room’s basement. Courtesy of City of Long Beach. 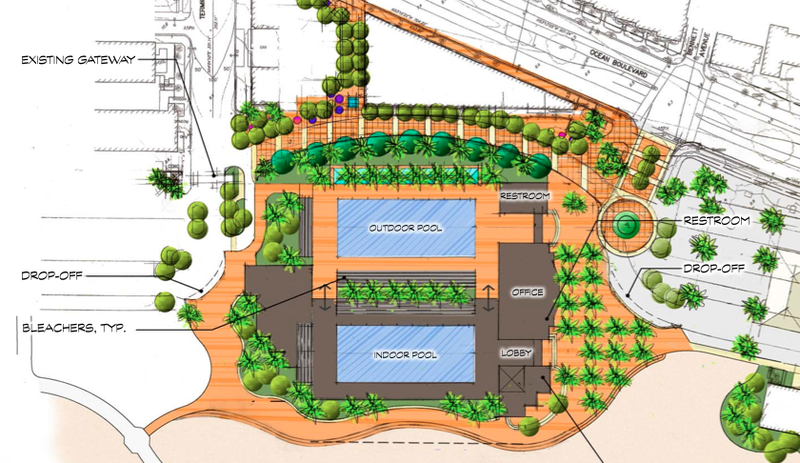 The proposed facility—which will sit on the site of the existing Belmont Pool—would include a natatorium as well as a new outdoor pool north of the existing facility. While being able to provide the current events held at the Belmont Pool, the proposed facility, which will cost somewhere between $54 and $62 million and take two to three years to complete, will add much needed water space for the public. Greg Louganis, who trained at the facility in preparation for his 1976 Olympic medal wins, emailed 3rd District Councilmember Gary DeLong to reiterate the importance of the Belmont Pool to the sport of diving, which Louganis says has seen a boon in recent years. ABC’s new television show Splash was all set to film at the pool, but had to move to to problems with the facility. Click here to read our policies covering City Council.